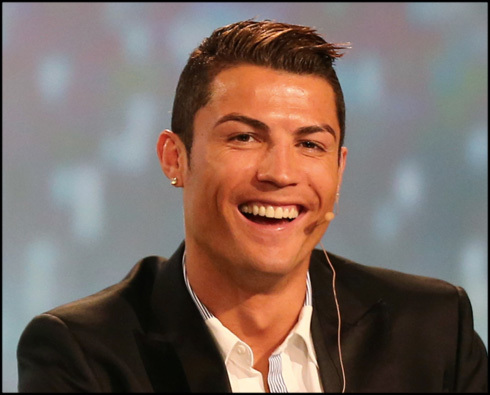 Cristiano Ronaldo granted an interview to the Portuguese newspaper "A Bola", on the very same day where he has won the Globe Soccer award for the "Best Player in 2013". The 28-year old forward believes he has done more than enough to deserve winning this year's FIFA Ballon d'Or and that a team like Real Madrid should never depend on a single player. 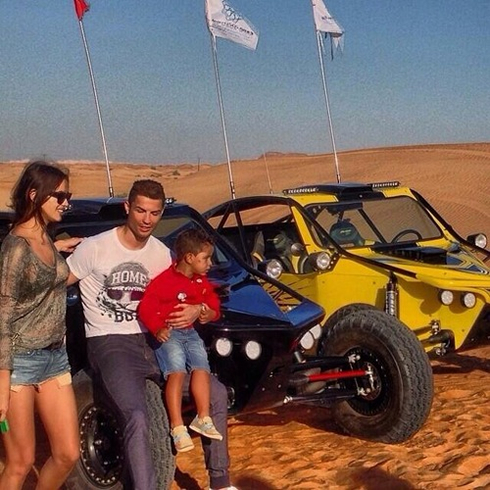 Cristiano Ronaldo has travelled to Dubai earlier this week, not only to attend the Globe Soccer awards ceremony that was held this Saturday, but also enjoy a short period of vacations before lining up for Real Madrid in a club friendly match against PSG, set to be played in Doha on January 2 of 2014. Before that game takes place in a few days from now, Ronaldo has received Globe Soccer's "Best Player of the Year" award this Saturday morning and has also granted an exclusive interview to "A Bola", a popular Portuguese sports newspaper. On that interview, the Real Madrid player had no problem in reaffirming his conviction that he's the one who deserves winning the FIFA Ballon d'Or 2013 the most. 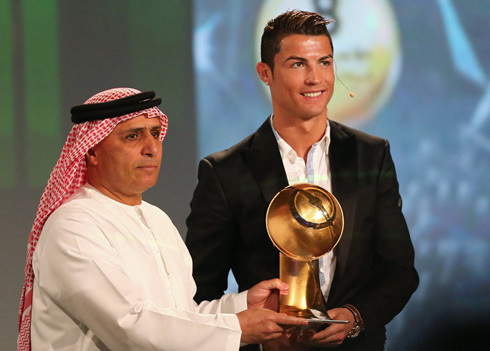 The winner will be announced next January 13, at the FIFA Ballon d'Or gala and ceremony, to be held in Zurich. 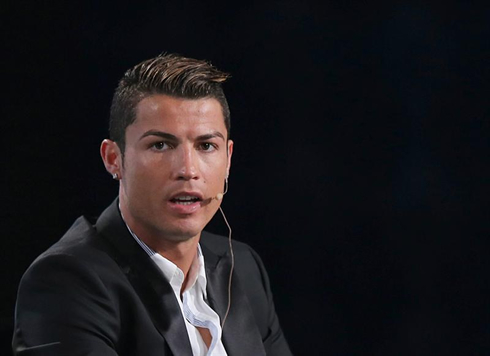 Cristiano Ronaldo: "Do I deserve winning this year's FIFA Ballon d'Or? Perhaps yes, just as I did deserve last year and two years ago. I always think I deserve to win the FIFA Ballon d'Or and that happens every year. I simply like winning all the time, but I'm perfectly aware that it doesn't depend exclusively on me. I would love to win it, but sometimes we win, others we lose and that's just life. I've been on the podium for the past 6 years and this is the 7th or 8th straight time where I'm featured on FIFPro's best eleven, which I think that speaks for itself. What I've done so far is in a certain way very important to be able to win these individual awards", pointed out the former Manchester United winger. Ronaldo: "I would work again with Mourinho, just like I would with other managers I've had in the past, like Sir Alex Ferguson, Laszlo Boloni or Manuel Pellegrini. They have all been coaches who taught me a lot and from whom I have great memories. I evolved both into the person and the football player I am today thanks to them... Forgiving Mourinho? I forgive everyone! I never had any confrontation with him and you've never heard me saying bad things about someone else. That's how I have been behaving so far and that's how I intend to behave in the future. I'm not upset with anyone. The only thing I want is to succeed and if I'm given the chance to work with top level professionals, then I'm all for it", remarked CR7. 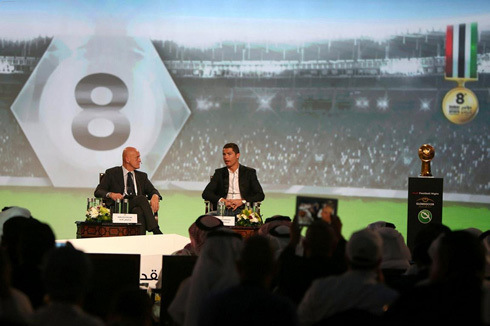 A lot has also been said about Real Madrid's dependency on Ronaldo. CR7 himself denies it though and claims that a club as big as Real Madrid can't be depending on a single player, may that be him or anyone else. 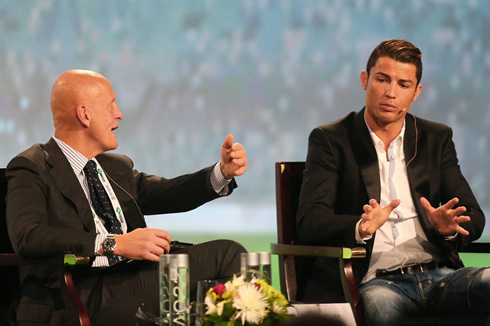 Ronaldo: "Every great player has a huge influence on the team where he plays at. That's why they are regarded as the best players in the game and the ones who get paid the most. That's simply because they make the difference on the pitch and it's important to do that in the moments where their teams need it the most. However, I don't believe I'm carrying Real Madrid on my shoulders... A club as big as Real Madrid can't depend on just one player. I help as much as I can, that's my job and that's what I have to do in order to get the team into a better level. Fortunately, I'm playing on a great team and there are also great players on my side", claimed the former FIFA Ballon d'Or 2008 winner. Cristiano Ronaldo: "Barcelona and Atletico Madrid have been more consistent than us, but La Liga is not over yet and there's still a lot left to be played. What matters the most is who crosses the finish line at the end. We obviously attempt to become leaders on every single chance we get, but Barça and Atletico Madrid deserve the credit for being where they are now, since they've been going through a terrific season so far. I have high hopes that at the end Real Madrid may have somehow managed to surpass them in the standings though..."
It's not the first time that Ronaldo also praises Gareth Bale in public. The Portuguese forward is getting along very well with the former Tottenham player and expects him to play a key role in the club's success. 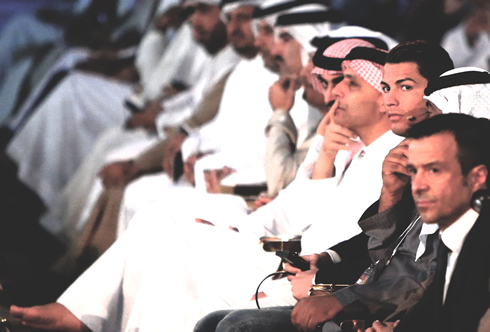 Ronaldo: "He is adapting quite well. He's struggling a bit because he had no pre-season and also because of the pressure he has been put under. The language barrier hasn't been helping much either, but he already managed to be useful to the team. At the end of the day, he's a great player and I'm sure he'll be vital for the club in the future." Cristiano Ronaldo: "I don't know what trophy I would like to lift the most at the end of the season. It's a hard choice, because all titles are important and it wouldn't be fair to pick just one. But titles are indeed all that matters at a collective level. I just hope I can keep winning both the individual awards and the team titles we have ahead of us." Cristiano Ronaldo next game will be in Real Madrid against PSG, in the club's first friendly game of 2014 (January 2). You can watch Juventus live stream, Real Madrid vs PSG live, Barcelona vs Elche streaming, Chelsea vs Liverpool and Newcastle vs Arsenal, all matches provided from our soccer live section.